Signed and shared. Thanks, Ena. Signed and I will share. Thank you Ena signed and noted. "Don't Let Wildlife Services Kill Our Wolves." Your letter will be sent to the U.S. Department of Agriculture as well as your senators. 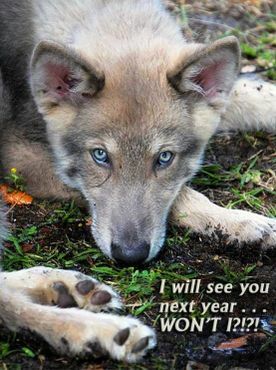 Thank you for taking action on "Don't Let Wildlife Services Kill Our Wolves." Your letter will be sent to the U.S. Department of Agriculture as well as your senators. Signed and I hope it helps. I don't understand this need to kill wolves all over the world and especially in the US. They are the most beautiful and majestic animals. They deserve to live just as we do. Noted and signed - my hatred for humans such as these just consumes me - I don't even think that anger management would even help. The more I read and the more I see, the more i want to kill each and every last one of these despicable rubbish sub humans. Action taken today, thank you. Noted & Signed. Thank you very much Ena. Thanks Ena. Signed & noted.